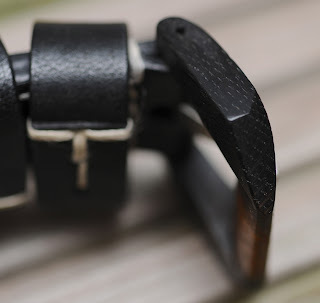 This not something that I think is commonly done as most straps comes with the buckle or you use the original buckle. In fact this is most unique. 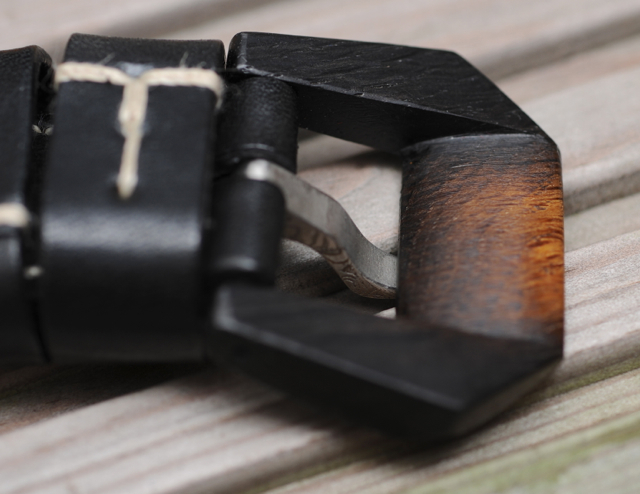 The buckle, the tang (or bolt) and the strap are from 3 different makers. The focus here is the buckle. Why? 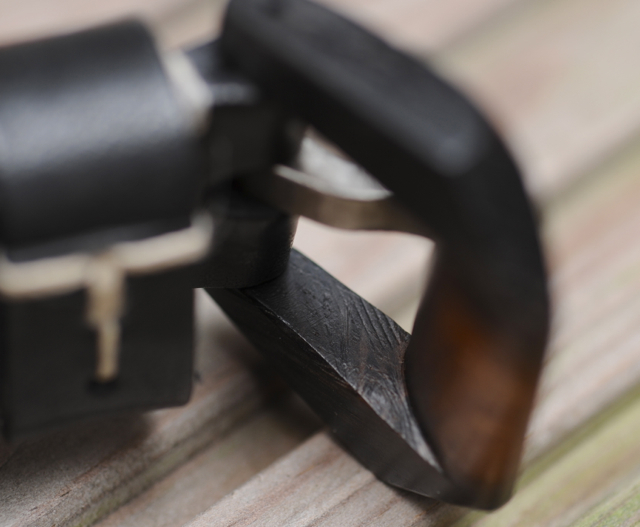 Because it is not made of the material we usually identify buckles with. So this is the first of series of me testing out the buckles. 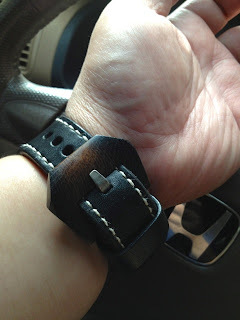 The first buckle I tested is this piece. 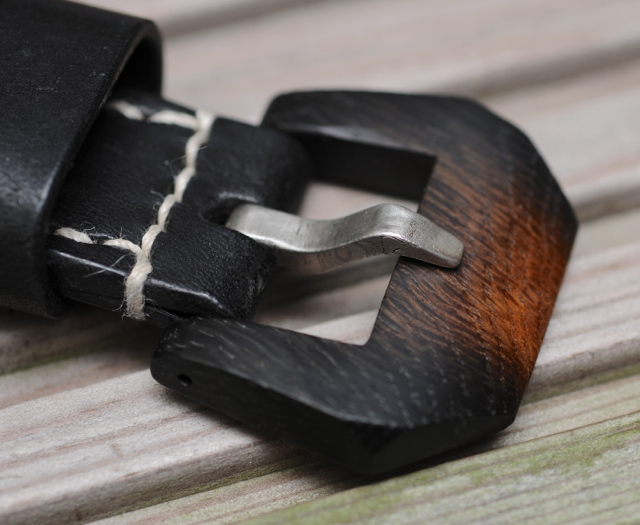 It is buckle made of Ebony Black fitted on a shark strap from Maddog with a blacken damask bolt (tang). The top of the buckle. 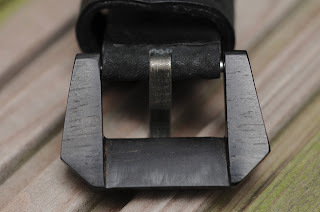 The bottom of the buckle. 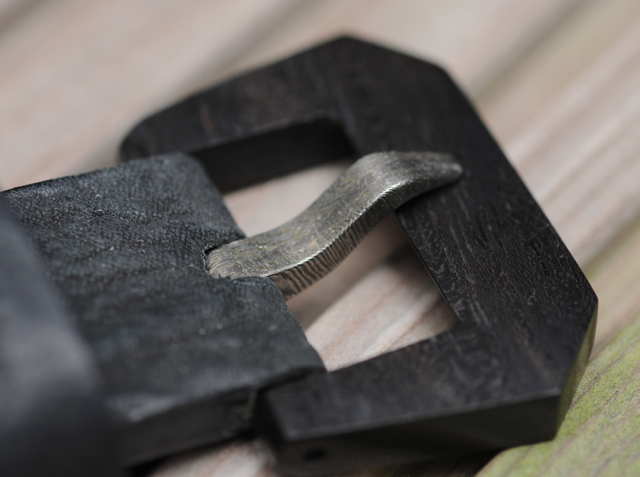 The center portion of the buckle is curved. I like that. It makes the buckle sit flatter and does not 'cut' the strap. 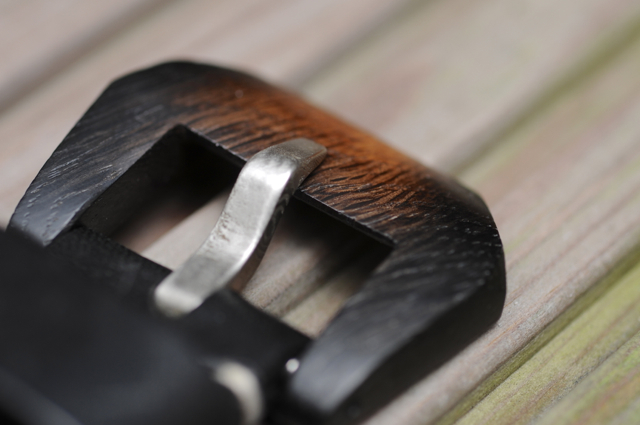 Nice finish of the inside of the buckle. 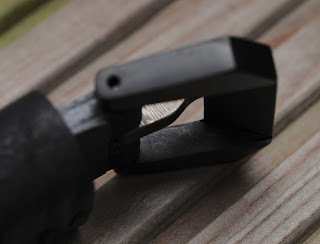 The bolt is also well made and suits the buckle like a glove. 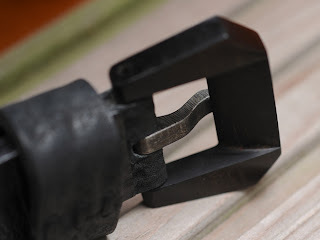 I was expecting scratches on the top surface where the bolt sits. But, surprise surprise, nothing. Anyway, it can be polished off. 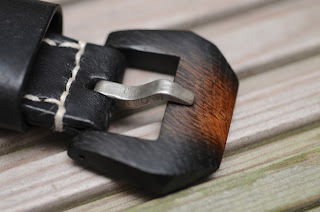 The second buckle I tested. 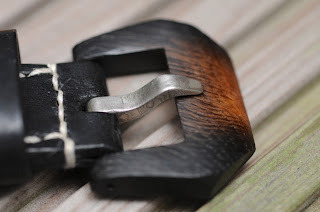 This is made of 600 years old Bog Oak. This is considered young for the oak. 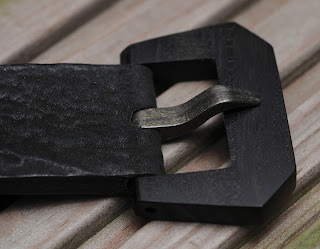 I like this buckle. I like the reddish streak at the top of the buckle. Finish and build is top notch. Again with a bolt from Maddog and strap from Cheergiant. Closer view of the buckle. I like the fact the wood grain can be seen. Gives it some 'feel'. Again the bottom is curved. 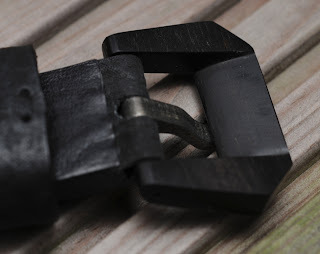 Have to say that I am surprise with the quality of the buckle and most important, it is robust. 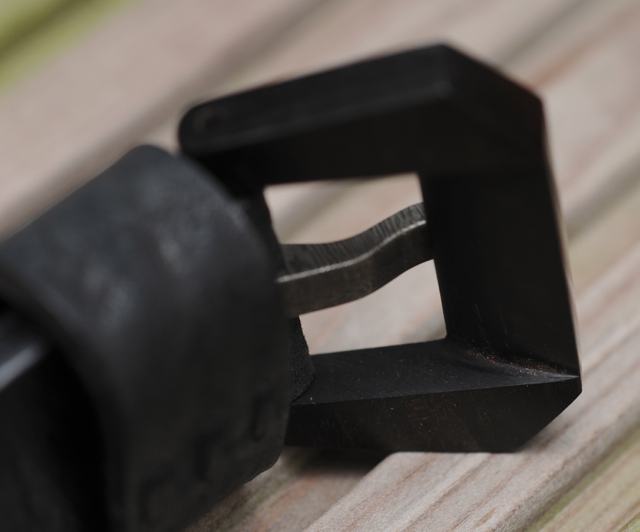 I did try to break it, but it is not so easy. Pretty tough.